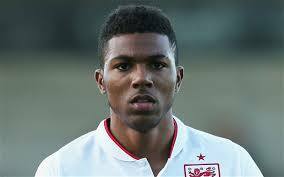 Jerome Sinclair. Photo courtesy of Daily Telegraph. The rumours have been circulating for days and must have been unsettling for at least a couple of members of the Wigan Athletic squad. With just nine games left in the season, Jerome Sinclair has signed for Wigan Athletic. Sinclair is an 18 year old forward who has made one appearance in the Liverpool first team. That was in September 2012 when he came on as a substitute in a League Cup tie at West Bromwich, where coincidentally he had learned his early football under their youth academy. He was just 16 years and 6 days old at the time and holds the record of being Liverpool’s youngest-ever player. Sinclair missed much of last season through injury, but has scored 24 goals at youth and under 21 levels this season. Although Sinclair is highly rated at Liverpool, many Latics fans are already questioning the acquisition of such a young and inexperienced player so close to the end of the season, giving him little time to settle in with his teammates and the style of play. Mackay had publicly stated that he was looking at the loan market for a player who could get on the end of those loose balls in the opposition penalty box. He clearly believes that the 18 year old might be that person. In the meantime both Billy Mckay and Martyn Waghorn will surely be thinking their days at Wigan are numbered. McKay was only signed at the end of January, but has since not made a single start. 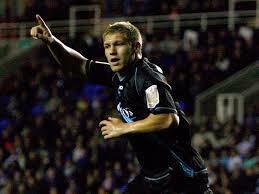 Last week a seemingly crazy rumour was flying around about Waghorn going on loan to another club. Given the current developments it now remains within the realms of possibility. Following James McClean’s tenth yellow card on Saturday he will be unavailable for the Watford game tomorrow night. Fans will have their fingers crossed that Leon Clarke will be back from injury to lead the line. The big striker adds physicality to the attack that will be needed against a strong Watford side, currently in second place. Should Clarke not be available it is possible that Sinclair will start, assuming the paperwork of his loan move is completed in time. It is reported that he has been training with the Wigan squad today. There remains a possibility that either Mckay or Waghorn may be involved. But Mackay has already thrown the 17 year old Liverpool winger Sheyi Ojo into his starting lineups. Is he going to repeat it with Sinclair? Interestingly enough at 5 ft 8 in Sinclair is of a similar height as Mckay and Waghorn. Let’s hope that if he does come on at some stage in the match, the ball does not continually fly over his head as the defenders hoof the ball forwards, as has happened so often to Latics strikers this season. Bringing in Sinclair at this stage of the season can be considered either a bold move or smacking of desperation. Check Mackay’s comments on Sinclair by clicking here. Maybe Mackay will have the last laugh if the young man helps Latics avoid relegation.